Large Hail Facts; How Safe are you in a Hailstorm? Characteristic of severe thunderstorms, large hail can be very scary and destructive. But how does it form, and what can you do if large hail is predicted? 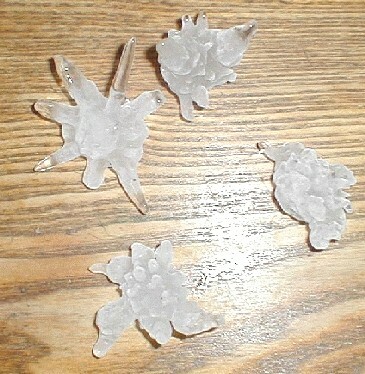 Hail falls during many, but not all, thunderstorms. large hail, more than 3/4 inch or 2cm in diameter, is one way of defining and identifying a severe thunderstorm. There is good reason for this - if the storm contains enough energy to form large hail it is also powerful enough togenerate destructive winds, including Tornadoes, and heavy rainfall. Not all thunderstorms producing large hail will be highly dangerous in other ways, but the warning signs are clear. If conditions are right, thunderstorms can rapidly grow upwards through 20,000 ft (about 6,000m). Although large storms will continue to grow well beyond this height, at this stage the upper part of the cloud will be below the freezing point of water, even in summer, and water droplets become supercooled or frozen into tiny ice pellets. These tiny pellets are held aloft by turbulence within the growing cloud, and they continue to grow by coming into contact with more ascending water droplets. Friction due to the collision of ice pellets in the turbulent zone is the most likely cause of electostatic charges in thunderclouds which ultimately result in Lightning. Once they reach 1/4 inch (5mm) in diameter they are called hail. As the storm grows and turbulence increases, the size of the hailstones which can be kept aloft by the strength of the updrafts also increases. Because the zone of greatest updraft and turbulence is usually at the front of the storm, this is also where large hail forms best. Around the edge of the zone of updraft, the wind strength will not be enough to support the hail and the hailstones will begin to fall. Those which fall into the rain zone will probably continue to the ground. Those which fall back into the ascending moist air column feeding the storm will be carried back upwards if the wind speed is strong enough, receive another coating of ice as they collide with the water droplets, and grow in size. This process may happen several times in a very actively growing storm, and the hail can grow to large and dangerous sizes. Eventually it will reach a point where it is too big and heavy to be supported by even the strongest winds, and it will then make its final descent. 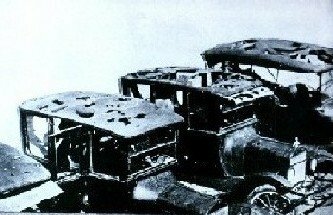 Because it has formed in the active updraft area of the storm, ahead of the rain which is more typical of the downdraft stage, hailstorms often occur early in the history of the storm's passage, separate to the rain. Hail is generally described by comparison to familiar objects - coins, fruit, balls and so on. The size of the hail obviously is related to its destructive potential, but it also reveals a lot about the strength of the storm. For instance, hail the size of a penny (3/4 in, or 2cm), at the bottom end of the large hail scale, requires winds of 40mph (65kph) to stay aloft. Golf ball size hail needs wind speeds of 64mph (over 100kph), while super size hailstones the size of softballs (4.5in or 11.4cm) require winds of over 100mph or 160kph to support them during their formation. 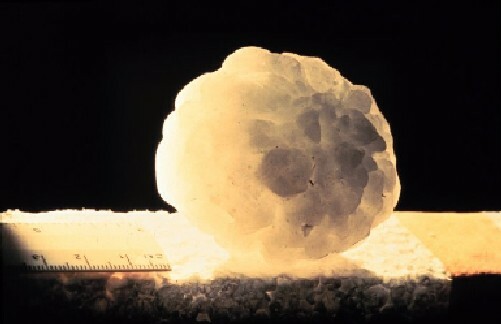 The hailstone record rests with a 7 inch diameter monster from Aurora, Nebraska in 2003. Large hail is very dangerous - being solid and falling at around 120mph (190kph), even golf ball size stones can cause severe injury, particularly in young children. Larger hail can be lethal, and the best tactic when hail is expected is to take shelter in a substantial building. It's also a good idea to find shelter for your car - that dimpled look combined with stars in the windscreen doesn't help the resale value. Any size hail can be destructive to crops and property. Heavy dumps of small hail can block drains and cause flooding, while the weight of ice can cause low pitched or flat roofs to collapse. Like tornadoes and very strong downbursts, large hail can demolish houses and mobile homes. Baseball size ice at 120mph will punch through thin or weak roofing or cladding, and can easily crack stronger tiles. Add the deafening roar and a major hailstorm is not an experience to be looked forward to. There is nothing you can do to prevent hail falling if you are in its path. But you can protect yourself in a similar way to minimizing injury during tornadoes. If you believe there is some chance that very large hailstones could penetrate your roof, take shelter in your basement or the structurally strongest part of your house, possibly a hallway or bathroom. Try not to forget any pets. If all you have between you and the hail is the roof and ceiling, shelter under a table or mattress, or both. 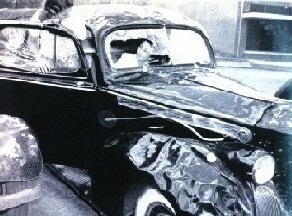 With luck no major damage will be done, but you will be as secure as possible no matter what eventuates. Medium or large hail doesn't go too well with outside weather stations, but you may have other things on your mind than protecting your sensors as a severe storm approaches. If you do experience hail as part of a thunderstorm, and have no concerns about damage, it is worth recording when the hail fell during the passage of the thunderstorm, whether it was evident on the radar, and how it's distribution compared with severe wind gusts and rainfall. An excellent source of storm information can be found in the Storm Prediction Center's Storm Reports. These links will provide you with more information on Thunderstorms and Severe Weather. Back to the Top, or return to the Home page.